Thanksgiving morning and the local paper arrived at approximately 20 times its normal weight. The sales fliers will be recycled (in our house) or tossed in the trash. The next batch will arrive on Saturday and Sunday. If you actually want a copy of this please let me know. WordPress limitations only let me publish this as an image. Suggestions for next year are welcome too. This entry was posted in Uncategorized and tagged Holidays. Bookmark the permalink. Right on. We love it. YES. 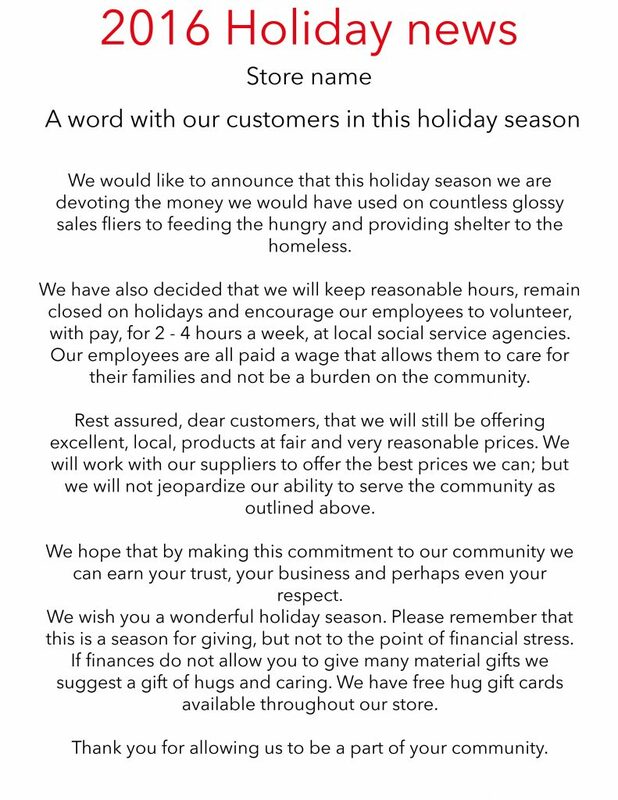 As a retail refugee, I fully support this!